This is the official threadof the '08 Devil's Creek. 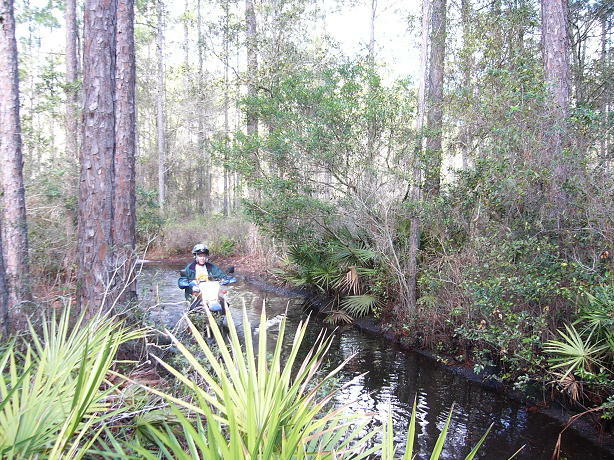 We started The Creek back in '96 and it has been a blast ever since. 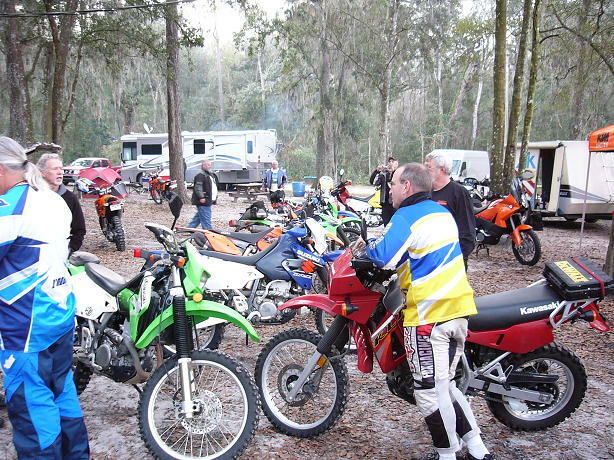 It has always been a ride for experienced riders and not one for people to cut their teeth on and learn the sport. 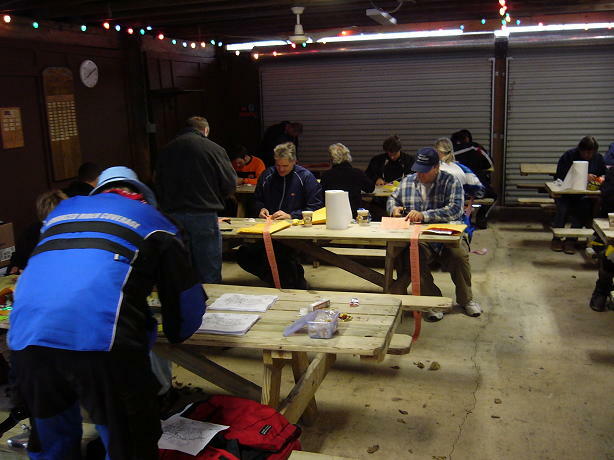 We added the Adventure ride to the mix back in 2000 to get more folks involved, learn about using route sheets, and as a way to get to know other DDS members. So basically, it's two events in one! 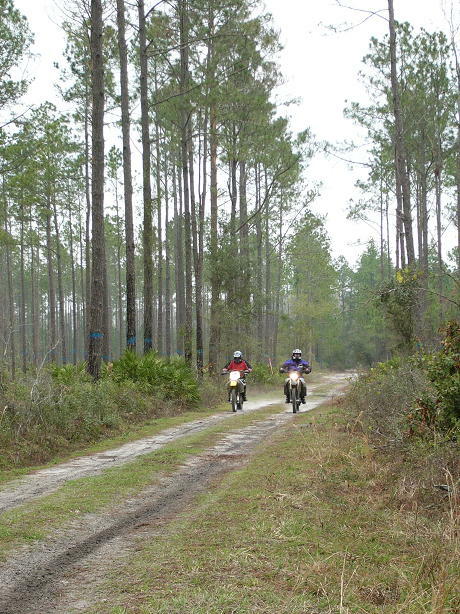 An adventure tour of the countryside, and a dual sport ride. Let me also say here that The Creek has grown to international fame. 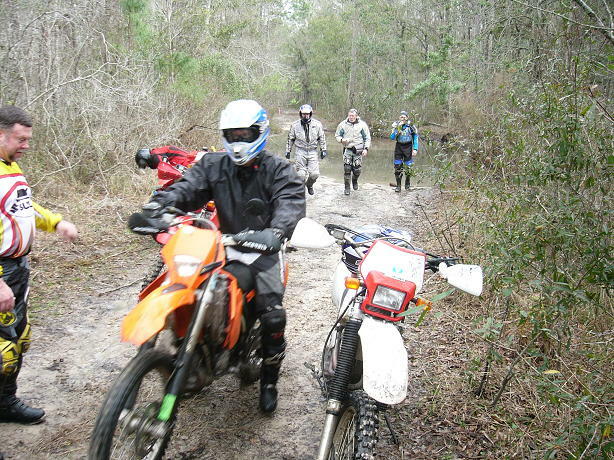 We have riders from Canada, the Bahamas, and Micronesia. 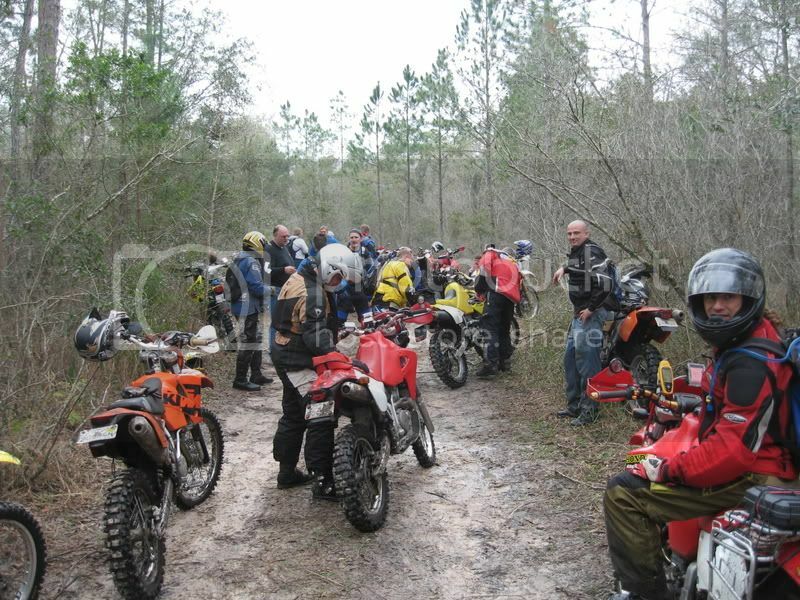 We also had riders from Texas, Michigan, Ohio, Georgia, Louisiana, North and South Carolina, and yes, Florida! 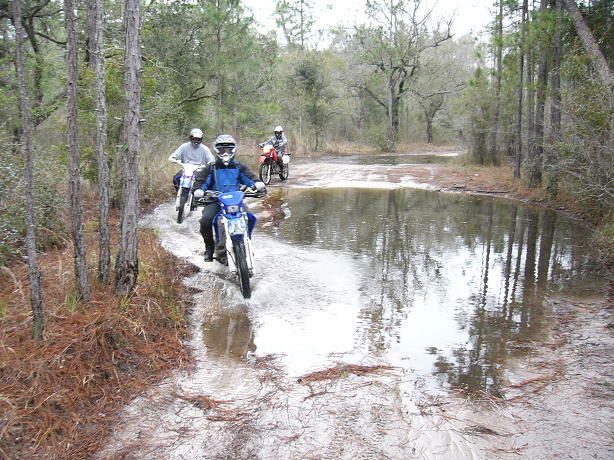 The adventure ride had it's fair share of adventure! 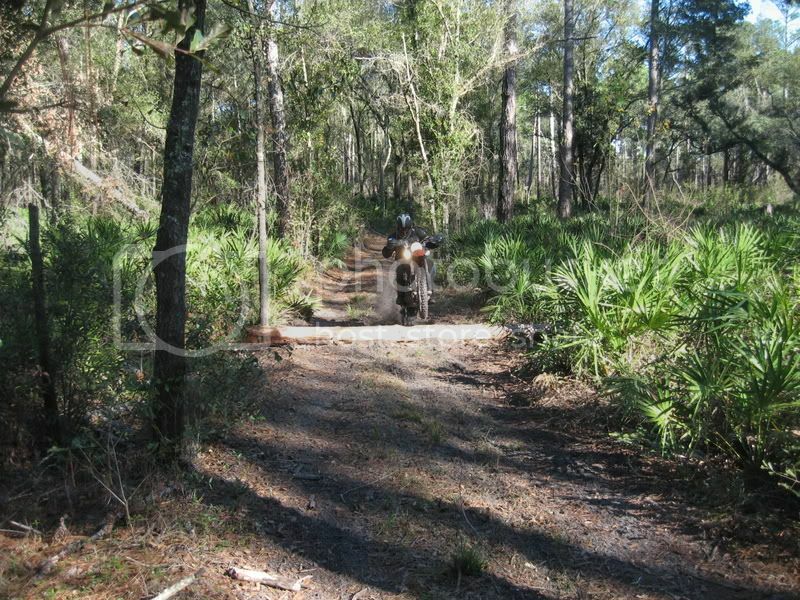 190 miles in length, it involved a full loop of paved and dirt roads in Central Florida and a full day to ride them. 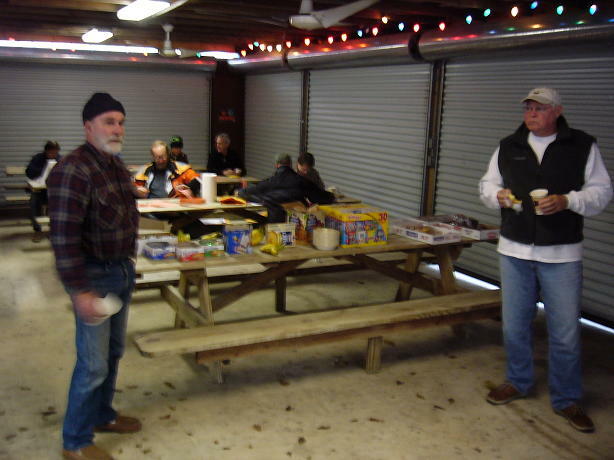 Lunch was with the other riders at the the lake, and 40 riders adventure riders had a chance to tell stories and look at bikes, such as Nick's Super Tenere, a few KTM 950's, Buells Uly's, GS's, DR650's, KLR's, DRZ's, and Samantha XT's while they shared lunch with the other 100 muddy dual sporters.... Now Samatha has been a steady rider ever since the creation of the Adventure ride, she's been on each one, and you can always tell she's having fun from the smile on her face and the little XT that keeps up with the big boys! Today it was nothing new. 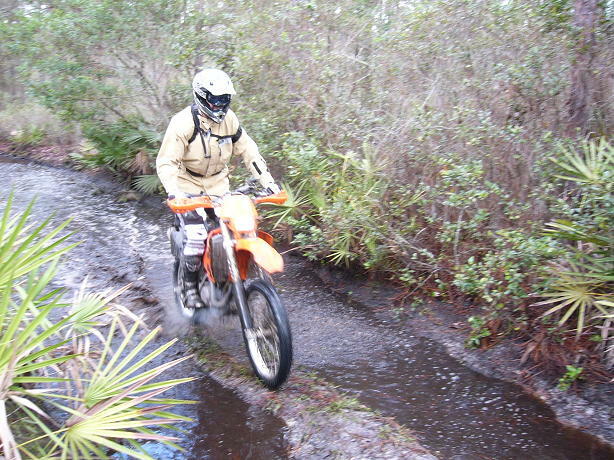 We actually used last years route, which at that time was dry and was called the best Creek route ever. It's amazing how things change in the Swamp with three days of rain, isn't it? 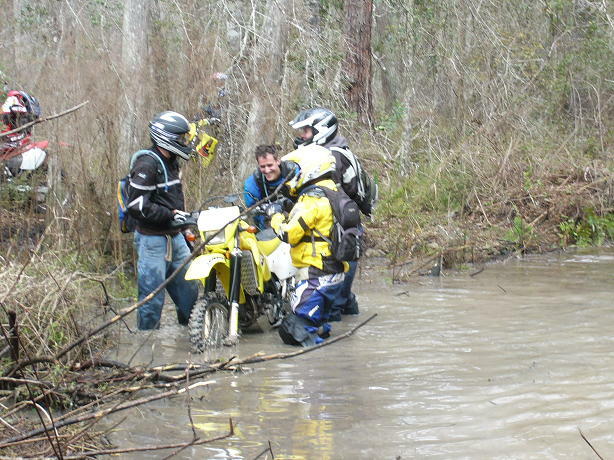 The water level was up, and riders were made aware of this and options were available to bypass here and there. 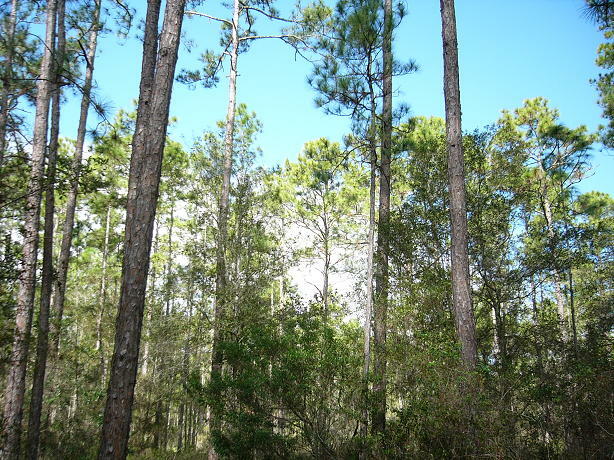 The majority stuck to the main through the swamp section, out through the praries and into the cypress until they reached lunch. The holes were all passable, if people used their heads, thought about it, and listened to advice. But alas...folks never do, and they have a wild time picking the wrong lines, making things harder than they have to be, and producing great picture moments! Sunday. This is the part I always like on a two day event. 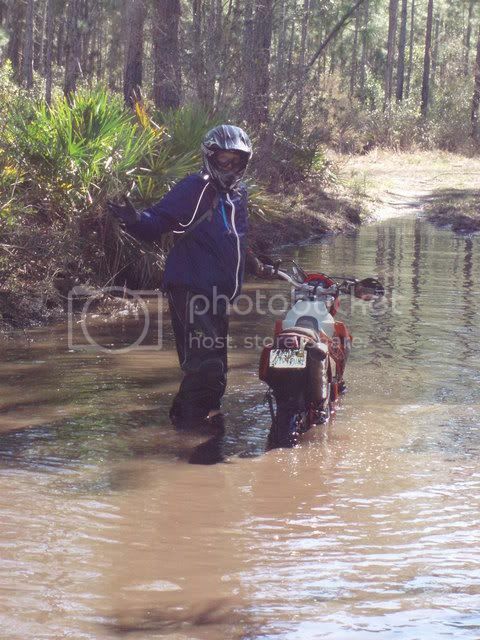 It happened to me back in 2001 on a ride in NC. Saturday was tough cold and wet, made some folks miserable and question what the heck they were doing. 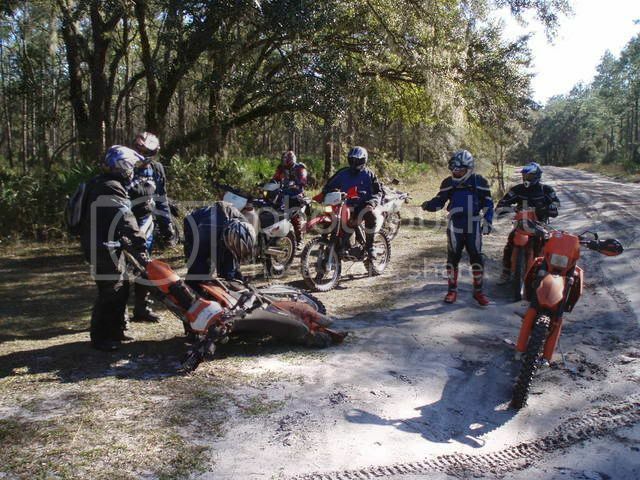 Everyone bailed on Sunday except for 8 of us, and it turned into one of the best rides in my life. 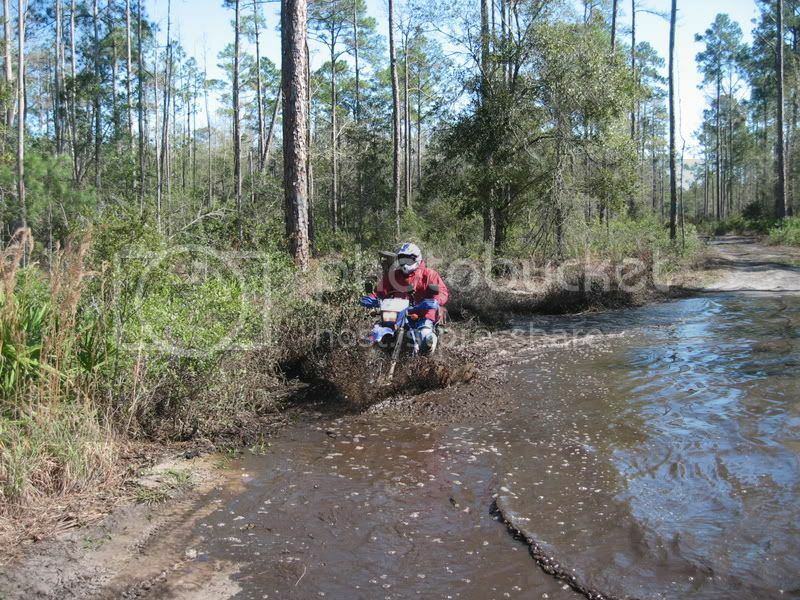 Sunday at the Creek did the same for a lot of riders! The Bullshoot Bonanza. A brainstorm, or at least an off the cuff remark which turned into reality will now be known as Bert's Bullshoot Bonanza. 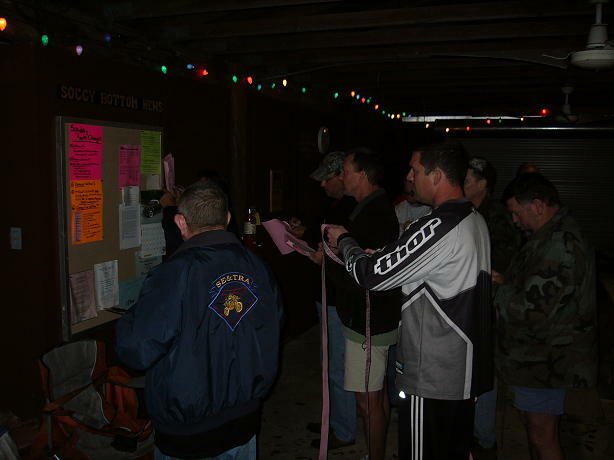 A brainchild set up to feed the hungry (riders and family), shoot some bull, and be entertained, all in one place!. The fire was goin' the Bull was being slung, food was prepared by everyone, Dust To Glory on the big screen and Strubbjr brought the coolest cake (the twisted SOB that he is), but you'll see a picture of the cake in Bert's post...that has to be the most photographed cake this side of a wedding! Anyway, overall everyone had a great time. 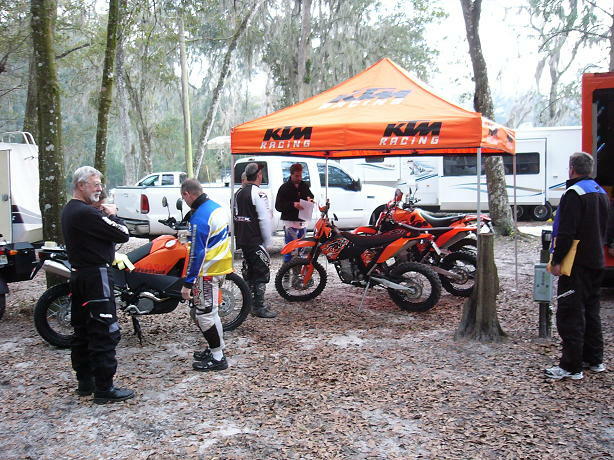 There were a few bikes flooded out and hauled out of the woods on Saturday, no one got hurt, and Mike's Cycle Center even sold a KTM on the spot late Saturday, prepped it and had the paperwork done on Sunday morning and it was ridden on Sunday! Mike DRIVER and DrDave: Sweep extrodinaire! 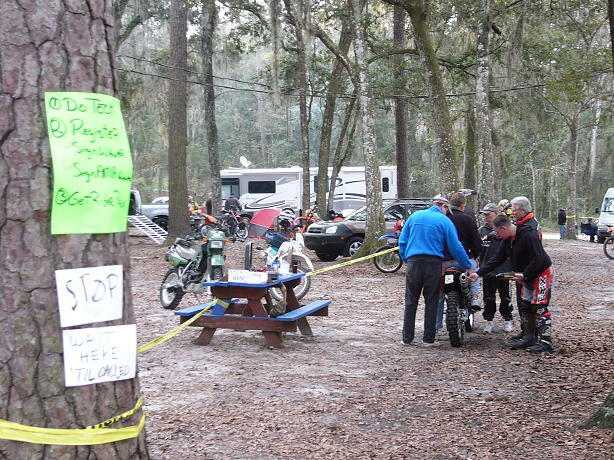 They pre-rode the past three weeks, hung ribbon, and came back to push everyone through the course. Sweep is a thankless job and just about the most difficult and frustrating one there is. Thanks guys. The Sound Crew, always led by our own environmental engineer Rich Bumar (rich_in_orlando), everyone get's to meet Rich! Plus he always seems to recruit people interested in learning the ways of the Sound Guru, so for all his volunteer assistants, a big Thank You to you too! Sign-In Crew. What can I saw about the Mrs. She loves you guys. She looks at The Creek like many of you do, another National Holiday! She get's excited about it, keeps me in-line and always comes up with another way to improve the process wheteher it's sign up or breakfast each morning. By the way, you guys owe her Big Time. Miss Linda was HER idea! Therefore, she's now in charge of registration and food...at least that's what she told me...and thanks to Laurie & Tim and little miss Aubry too! Oh yeah...and especially to Bert who took the BullShoot by the horns and made sure it happened! ...and here now....is da pics! Each day starts with tech. here's the crew in action... Rich Bumar, the Sound Guy, is an environmental engineer by trade, and this comes naturally for him! 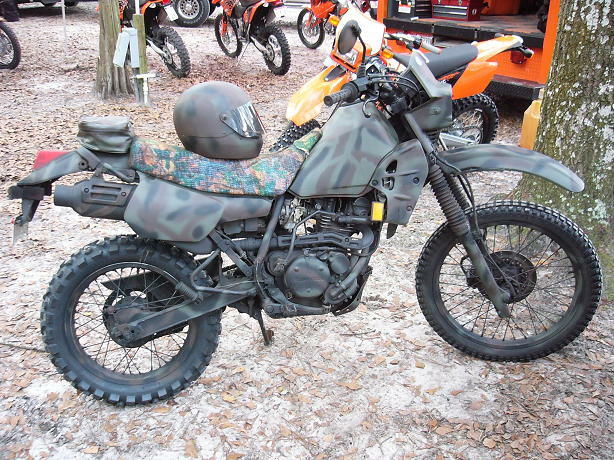 Rick Stubblefield dreaming of a new bike and trying to figure out a way to tell Becky he just bought it...if you find the answer let us know so we don't get in trouble either! DKO Dave making tracks enjoying the day as he always does. 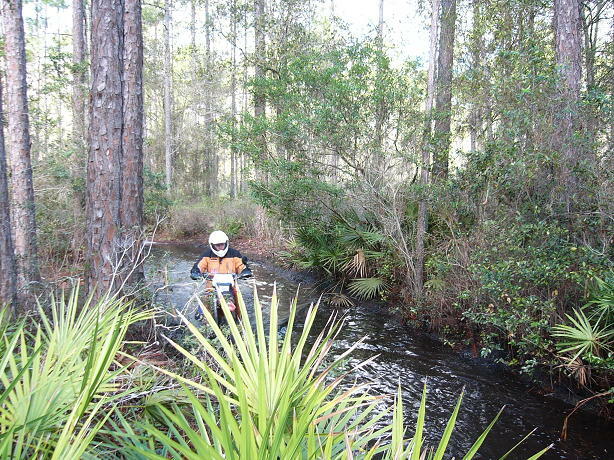 I like this shot of a water hole i was pointing people around. 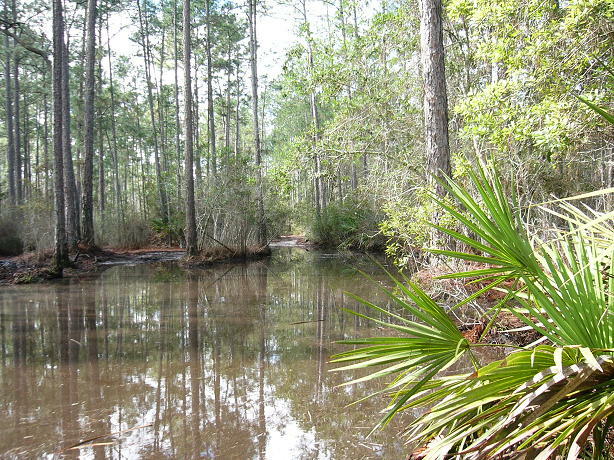 The swamp is just beautiful. I love it. 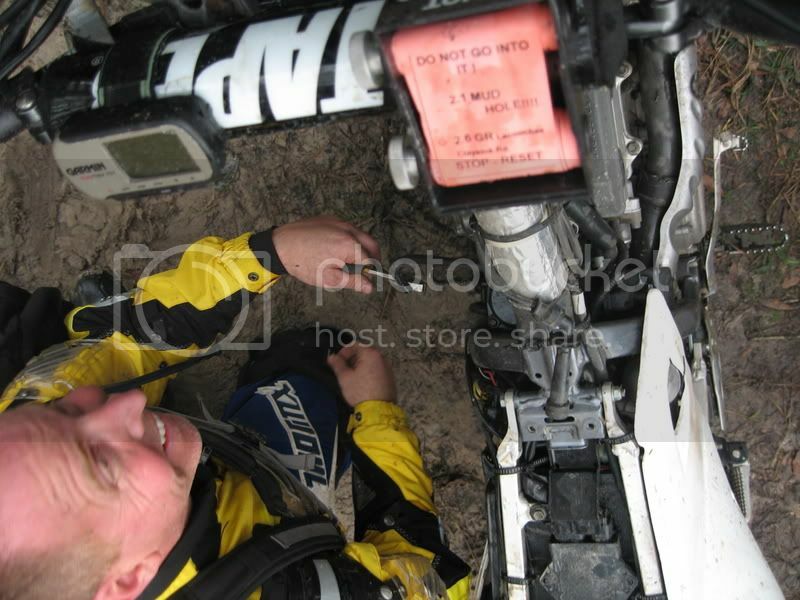 Okay...now on to you folks who can say you Survived Devil's Creek 2008! Some nice pics! Looks like some of you had a nice lunch? We missed it due to water challenges. 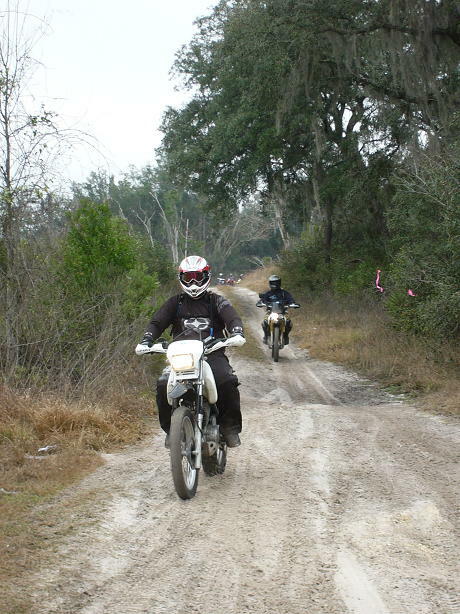 However, we had a great time riding. We're going to be there for lunch for sure tomorrow! We get a little wet. 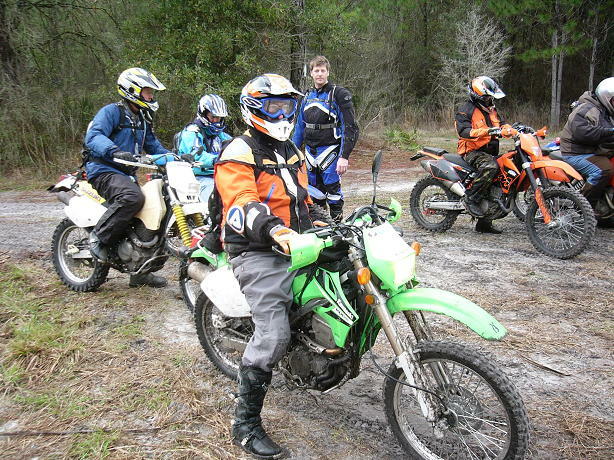 Me, Risk, MiamiMike, Bob(Homie), Adventure 95004. Wow, now that looks like fun. 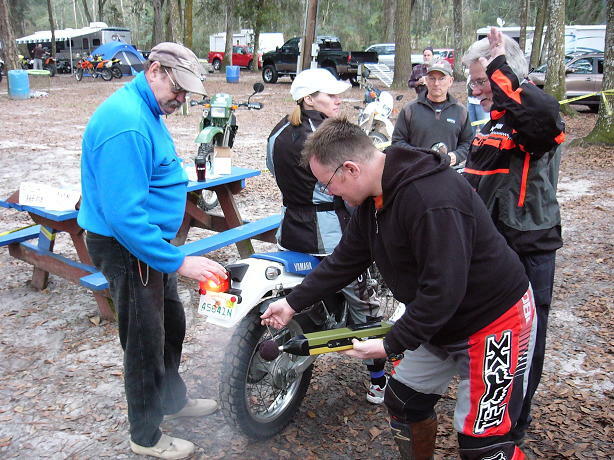 I'll bet a lot of riders were wishing they had installed a "paddle" tire. Great ride, wonderful food, and the Bullshoot was a success too. Great way to get everyone together. 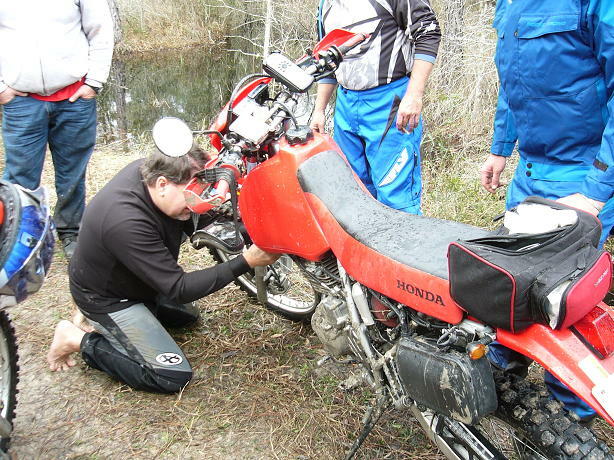 Big red Honda did good enough to loan out for the Sunday ride. 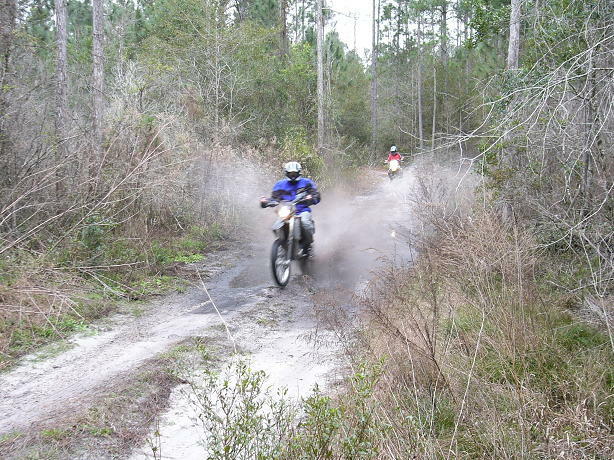 Great ride and great people at the 08 Creek. I'll be posting the pictures/video I ran at the BullShoot Bonanza soon. 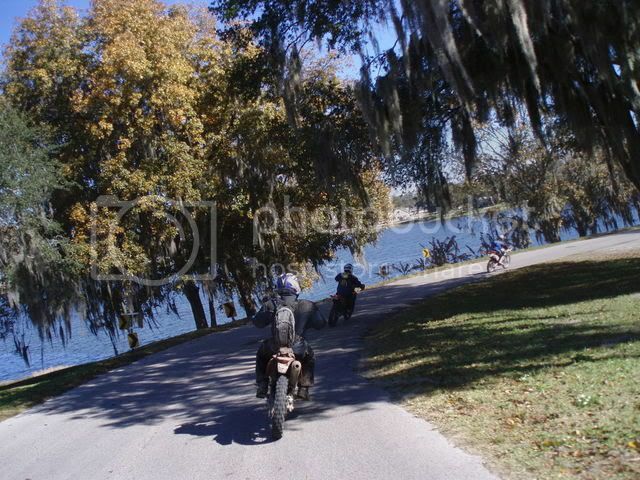 Awesome ride... Keep the pictures coming. 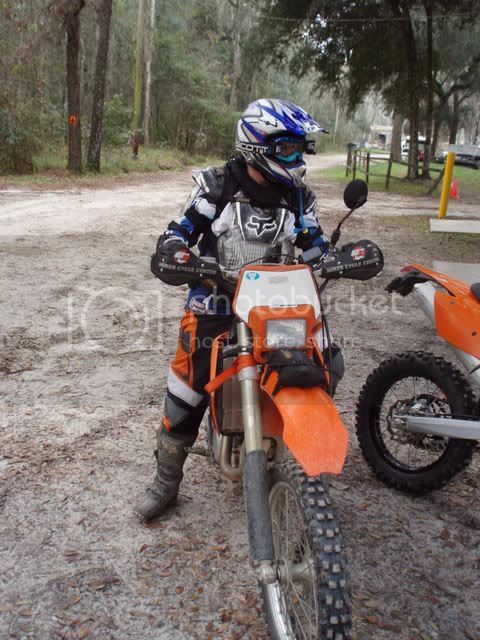 Alright guy's, if you were not able to make the ride, then you missed a excellent weekend of riding. 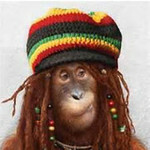 Here are a few video's of Me, MiamiMike, Risk, Adventure95004, Bob (Homie) to let you know what you missed. It was nice meeting everyone. Devil's Creek - Long water hole. Rob your dad is in this one. Devil's Creek - More of the long hole. This is the hole that the route sheet said to go around. Devil's Creek - The hole the route sheet said to go around. Rob your dad is in this video also. Devil's Creek - More of the hole we were supposed to bypass. Andy (Adventure95004) tows me out the last mile and a half. Devil's Creek - I get towed out. 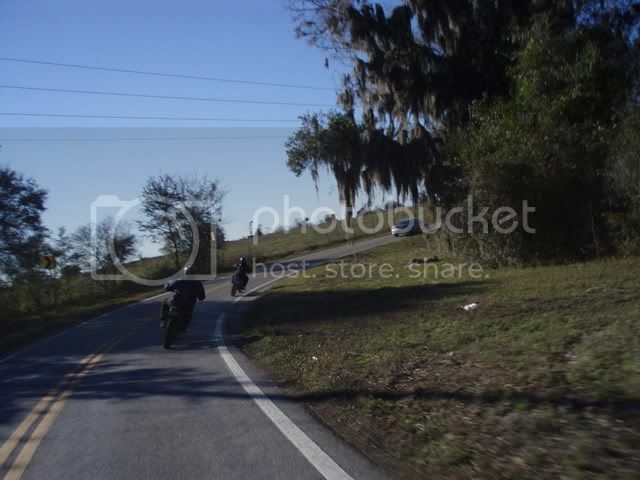 Great ride, really enjoyable, a couple of photos from yesterday and today. 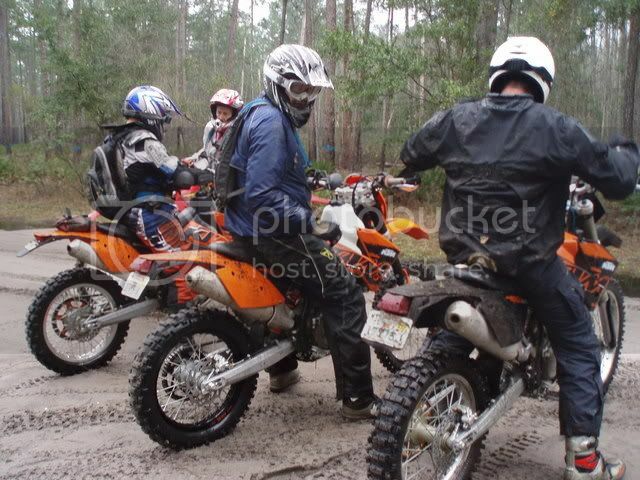 Thanks Swampy and crew, great dixiedualsport.com event. 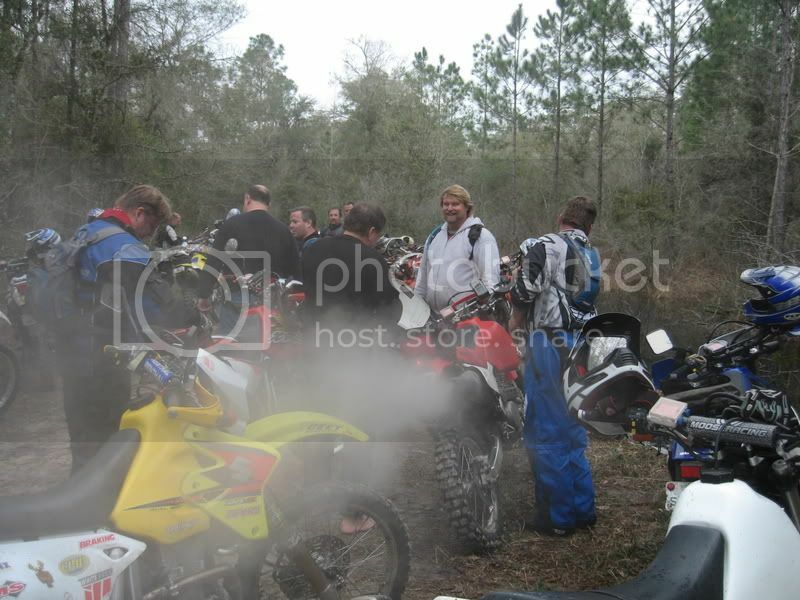 A sight I came upon often, ChrisE, Dirtfun, John10:10 and Rod patiently letting me catch up. ChrisE carefully studying the impromptu manual wheelie class. 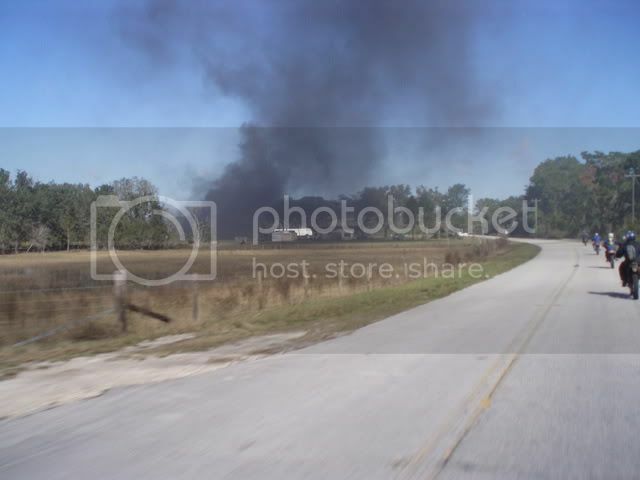 I don't think I was the only one concerned the smoke was from the upcoming lunch stop. 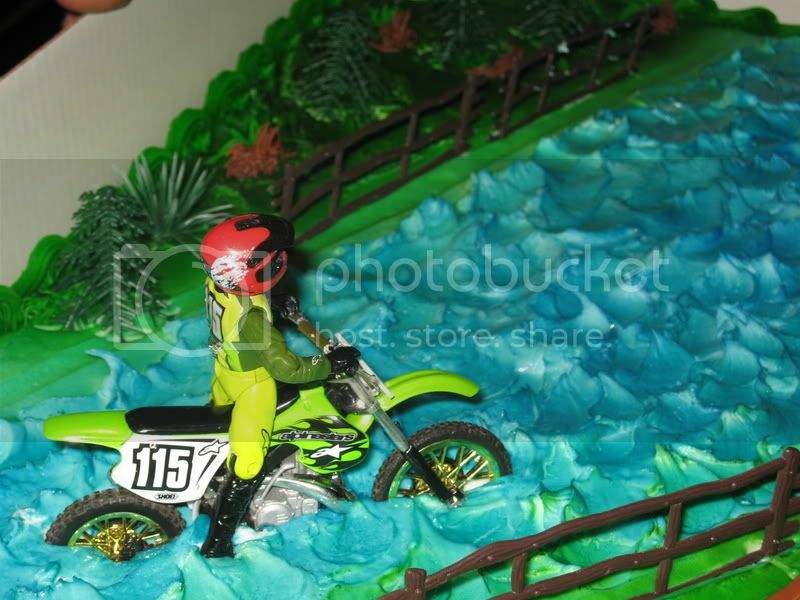 Dirt bikes in the lean. 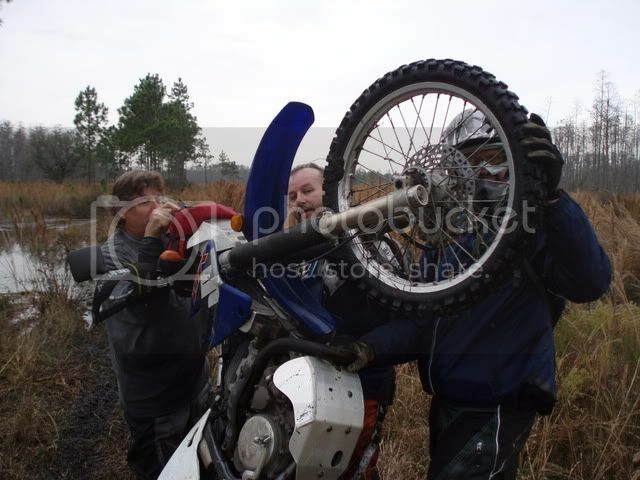 ChrisE giving the KTM a little front tire massage. Dirtfun, the only time his feet touched the ground. Like many of you, a fine rider. 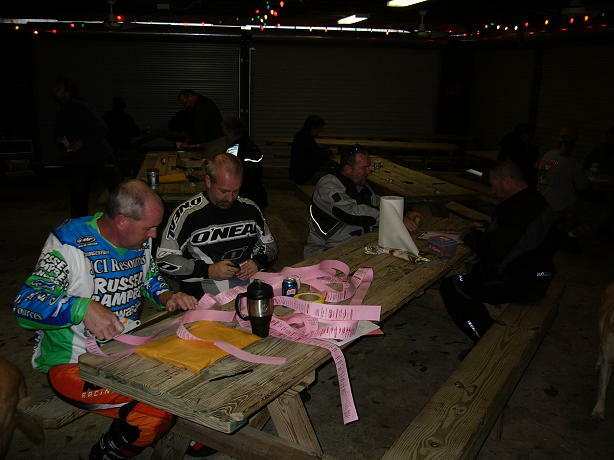 I would also like to thank my riding buddies for waiting up for me at the corners and restarts: ChrisE, Dirtfun, John10:10 and Rod. Great riding with you. Our group didn't make lunch on Sat and we kept hearing about how good the ribs were. I wanted to wear my new Devils Creek T-shirt on Saturday on the way home but wouldn't because I felt I had not earned it yet! 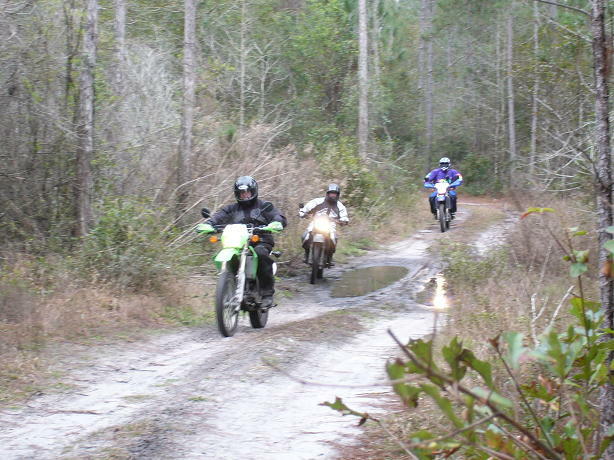 Well, we came back for round two and I'm reporting we had a great time, the ride and weather was excellent for blasting around the forest and yes, the ribs were the best I ever laid a lip! Now I can wear my new T-shirt! Would like to thank the many riders who always stopped to ask if we were okay, even if we were just taking a "natural break." ChrisE, Graembo, John10:10, and Rob, thanks for a great time! You never know what you'll see in the forest. 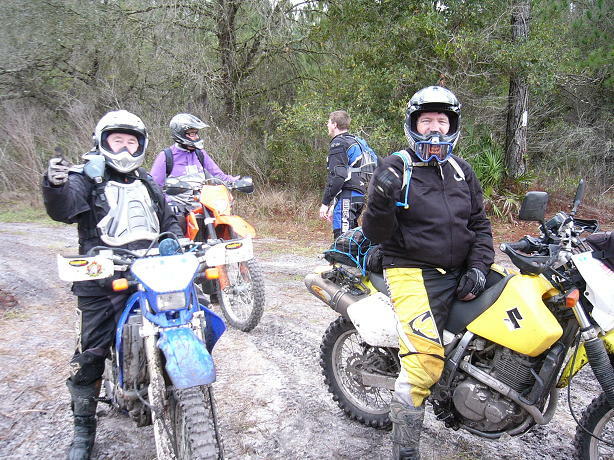 Thanks again for putting on a great dual sport ride. the ride,the sat dinner and movie was great.also i think that was the best catered lunch we have had on these rides. Thanks to you, your family and others for arranging a great event. 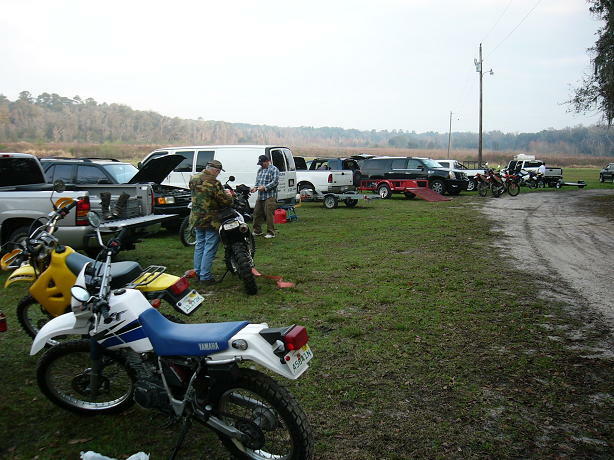 The location, routes, BBQ lunch, breakfast stuff, videos, movie and dinner were all great. I like your rides that have a place to camp/stay at the arrival/departure location. It makes it a lot easier on the logistics.